Forging on while still ahead in the game, Finnish director Timo Vuorensola, known around the world for his Nazis on the Moon movie, Iron Sky, is already working on a third chapter called Iron Sky The Ark. The second chapter in the series, The Coming Race, is Jonathan currently in post. Iron Sky: The Ark is a new instalment in the Iron Sky franchise. It tells the story of two Chinese university dropout audiophiles who set out on a The Great Wall quest to decode a mysterious message received from the Moon, but quickly find themselves fighting against the mother of all conspiracy theories – the Illuminati. 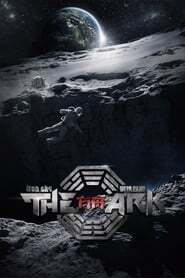 The Ark was announced today at EFM in Berlin and a teaser was screened in the Market. What is largely different this time aroudn is that Vuorensola Air Strike (2018) has significantly increased his budget, no longer crowd sourcing and funding this production but bankrolling with Chinese money and talent to the tune of $25 million.